Aluminum and Carbon Steel Pipe - Stainless Steel Pipe Fittings in Texas | Texas Alloys & Tool Co.
Texas Alloys & Tool Co. supplies steel pipes and fittings for a wide range of industrial applications. We offer a variety of grades to service the needs of facilities and industries such as gas processing, energy production, maintenance, refinery, construction, engineering, and petrochemical, as well as general piping applications. 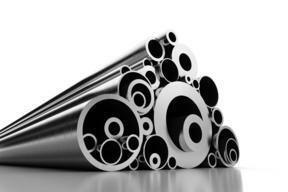 Our stainless steel pipes and fittings are available in T-304, T-316, and Alloy 20. Steel pipe is great for fire applications because it is extremely heat resistant. Aluminum pipe and fittings are corrosion resistant and has lots of applications such as HVAC, food processing, refineries, and power plants. Carbon steel is extremely strong, resistant to shock, and is also corrosion resistant. We understand our customers and strive to provide the best customer service for multiple indsutries. Texas Alloys supplies stainless steel to every type of business throughout Texas. Below is a list of industries Texas Alloys serves. Contact our knowledgeable sales staff to let us know how we can timely meet your pipe and fittings needs.